The MS-3 shape came about when we noticed a need for increased planing capabilities over the MS-shape, but still wanted to keep a nice, streamlined, contemporary look to the outline of the shape. 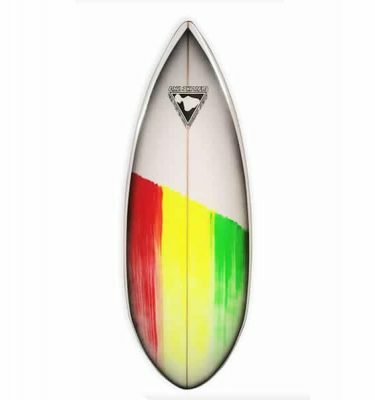 We widened the nose area in relation to our MS-1 shapes in order to provide more board width under the rider’s front foot, but yet keep the look of a performance surfboard. 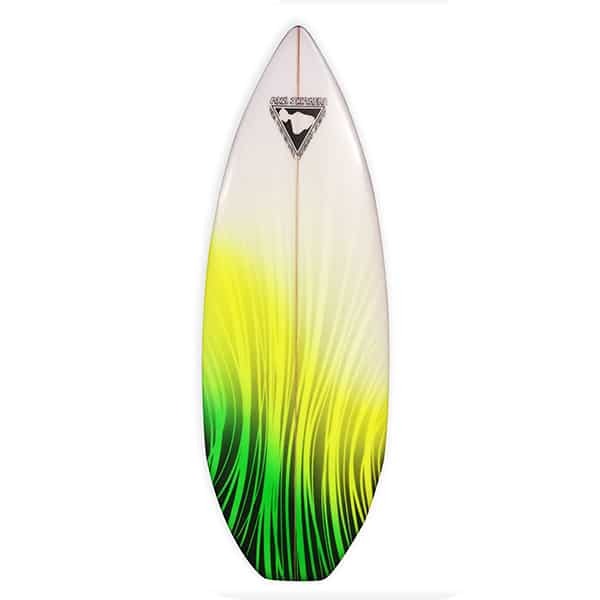 Combined with our channel bottom feature, the result is a skimboard that is super fast, offers great planing and can carry the rider out to waves that break further from the shoreline and yet retains exceptional maneuverability. The MS-3 shape has gained great popularity over the years because of this and is also recommended for bigger riders that require more surface area and increased glide. 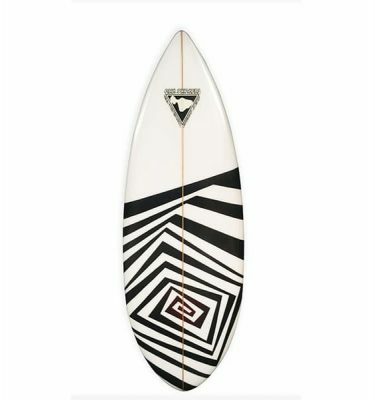 It is also easier to do contemporary tricks while riding that are popular with skimboards these days on the MS-3 shape. Because of the increased surface area, we suggest riding this shape about an inch shorter than you would on an MS-1 shape. How long do you want your MS-3? The MS-3 normally works best with a length between 4’6 and 4’11. How wide do you want your MS-3? The MS-3 normally works best between 19 and 20 inches wide. Leave this field blank and I’ll make it using my standard width for the selected length. Would you like custom paint? Any other customization requests or things you want us to know about how you want this board made? Summary: The MS3 is a great board for beginners or advanced riders. It is very customizable and can be created to help small or large riders excel in conditions that are breaking fairly close to shore. The longer nose of these boards makes for precision turning and very precise handling. 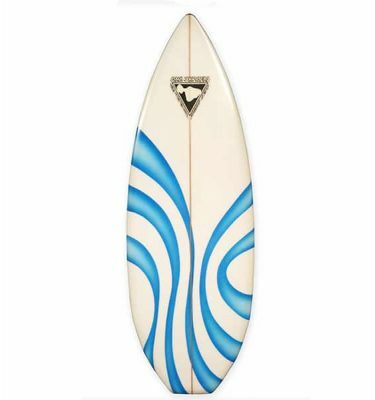 Length: 4'3"-5'1" Width: 18 1/4"-20 1/2" Rocker: 1 1/2"-1 4/5"
4'3", 4'4", 4'5", 4'6", 4'7", 4'8", 4'9", 4'10", 4'11", 5'0", 5'1"
17", 17 1/8", 17 1/4", 17 3/8", 17 1/2", 17 5/8", 17 3/4", 17 7/8", 18", 18 1/8", 18 1/4", 18 3/8", 18 1/2", 18 5/8", 18 3/4", 18 7/8", 19", 19 1/8", 19 1/4", 19 3/8", 19 1/2", 19 5/8", 19 3/4", 19 7/8", 20", 20 1/8", 20 1/4", 20 3/8", 20 1/2", 20 5/8", 20 3/4", 20 7/8", 21"